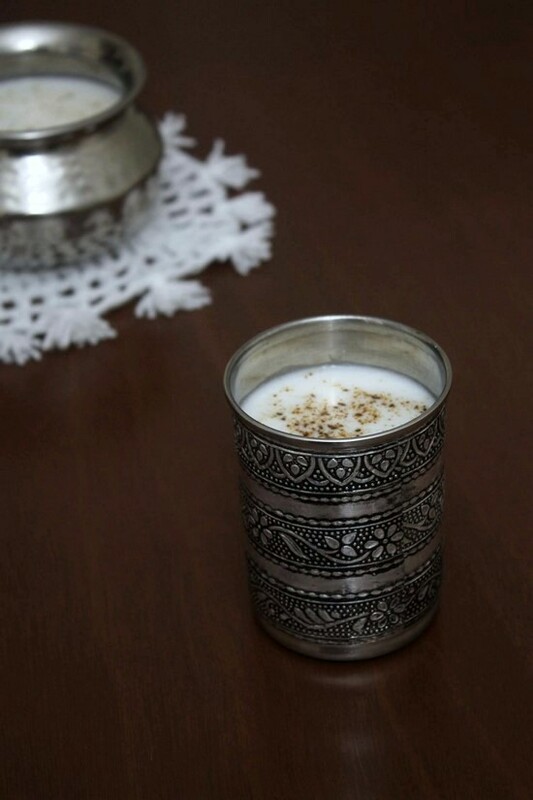 Chaas Recipe – Plain Indian buttermilk recipe made with yogurt and flavored with black salt, roasted cumin powder and black pepper powder. It is most popular Indian beverage made from yogurt. 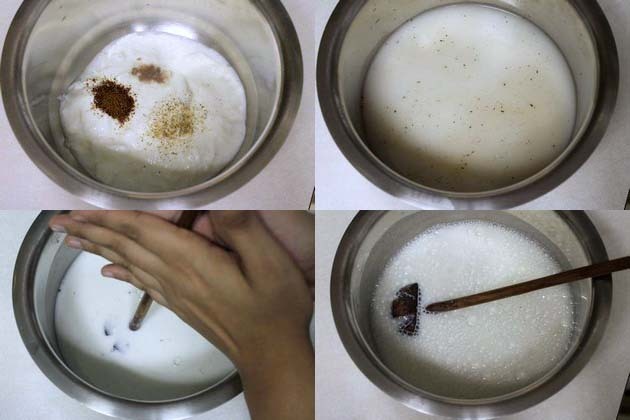 Every household in India make this during the summer. As you know that yogurt will help to reduce your body heat during the hot weather. I make chaas regularly. I mean it, I make it every single day whether its summer or winter. We serve it along with our meal. Most of the time I make this plain chaas, but sometimes I make masala chaas or pudina chaas. 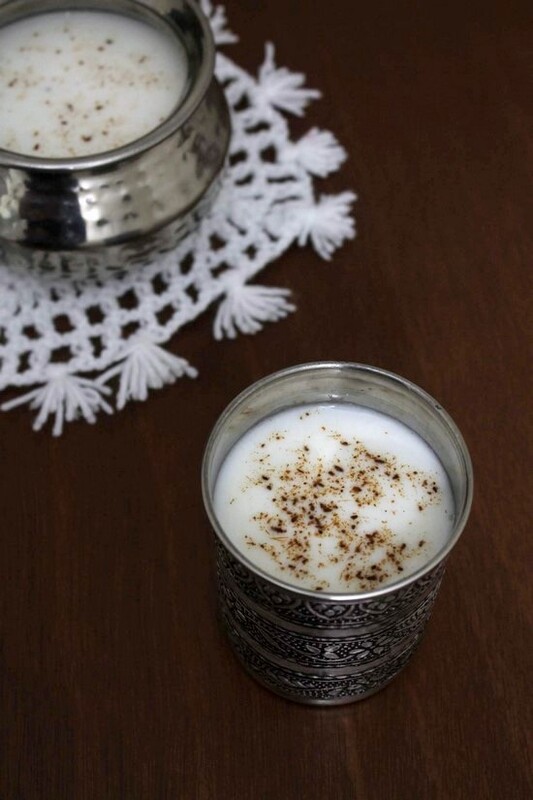 Chaas or buttermilk recipe is made by churning yogurt and water. Back in days valonu (in Gujarati) aka madani is used for churning the yogurt. It is made of wooden stick and at the bottom at it has circular star shaped wooden disk. I have seen my grandmom using this. She churn it using two hands till it gets frothy. It will take good 5-7 minutes. Of course you will get good arm exercise. But in modern days, hand blender took its place. It makes our job easy and fast. Making this for fasting or vrat? Please skip the salt and black salt. In place of that use rock salt aka sendha namak. 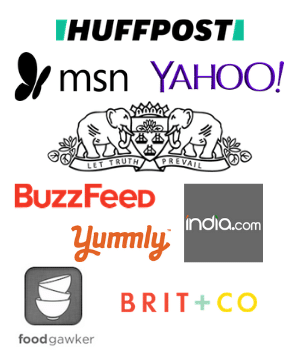 1) Take yogurt in a bowl or patila. Add salt, black salt, roasted cumin powder and black pepper powder. 3) Using madani or valonu, churn everything well. Instead you can use wire whisk or hand blender. 4) Whisk it till it gets frothy. If not serving right away then keep in refrigerator to keep it chilled. Pour into serving glasses. garnish with sprinkle of roasted cumin powder. You can add ice cubes as well. Serving suggestion: Always serve chilled. Enjoy it any time of the day. It is usually served along with meal. Take yogurt in a bowl or patila. Add salt, black salt, roasted cumin powder and black pepper powder. Using madani or valonu, whisk everything well. Instead you can use wire whisk or hand blender. Whisk it till it gets frothy. If not serving right away then keep in refrigerator to keep it chilled. Pour into serving glasses.